1971-05-05. New. Ships with Tracking Number! INTERNATIONAL WORLDWIDE Shipping available. Buy with confidence, excellent customer service! Oxford University Press, New York, 1960. 1st Edition. Hardcover (Original Cloth). Near Fine Condition/No Dust Jacket. Signed by Author. Multiple copies available this title. Quantity Available: 3. 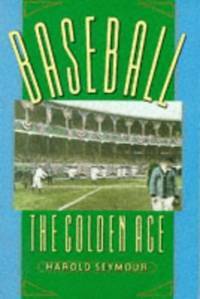 Category: Sports & Pastimes; Baseball; Signed by Author. Pictures of this item not already displayed here available upon request. Inventory No: 21807. . The Easton Press, 1998-01-01. Leather Bound. New. . Deluxe Leather Edition. Brand New! Sealed in publisher's shrink-wrap.- 22kt gold-stamped spine accents - Distinctive raised spine hubs, - Intricate gilt stamped cover designs, - Specially milled acid-neutral paper, - Smyth-sewn pages, - Gilded page edges, - Permanent satin ribbon page-marker. A Very Fine Copy. - Includes the ""Publishers Notes Insert. 1991-02-03. New. Ships with Tracking Number! INTERNATIONAL WORLDWIDE Shipping available. Buy with confidence, excellent customer service! 1989-01-02. New. Ships with Tracking Number! INTERNATIONAL WORLDWIDE Shipping available. Buy with confidence, excellent customer service! 1989-09-03. New. Ships with Tracking Number! INTERNATIONAL WORLDWIDE Shipping available. Buy with confidence, excellent customer service! Oxford University Press, New York, 1971. 1st Edition. Hardcover. Very Good Condition. Signed by Author. Spine a trifle sunned, rubbed. Quantity Available: 1. Category: Sports & Pastimes; Baseball; Signed by Author. Pictures of this item not already displayed here available upon request. Inventory No: 21806. .
Oxford U. Press, NY, N/D(C.1960), 1971, 1971. 2 volumes 9.5 X 6.5" in beige cloth in a slipcase with printed label. Covers of both vols lightly smudged. Spines lightly soiled. slipcase smudged and a bit rubbed.. Hardcover. Oxford, 1960. Volume 1- Green boards with green lettering to spine; Front cover has two discoloration spots; Spine has thumbed crease; Text and pages are clean and bright with no markings; Bound tight; DJ has some wear; Price clipped; Rubbing to edges; Reverse side of Dj has been reinforced with tape on spine and flap; Rear DJ has crease on spine edge, scratches, and rubbing marks; Volume 2 - Black boards with gold lettering to spine; Some shelf wear; Text and pages are clean and bright with no markings; Bound tight; DJ has some wear and rubbing along the edges; Spine edge and front corners are bumped and rubbed; . First. Hard Cover. Very Good/Good Plus. Oxford University Press. Hardcover. B00129M4CU New Condition. . New. Oxford University Press. Hardcover. B00129M4CU Like New Condition. . Fine. New York: Oxford University Press, 1960. Two volumes in cardboard slip case. Tan boards with red lettering. Slip case has two dark ink type stains on front, one blot has bled through to back board of vol. 1 leaving a dampstain. Slip case shows little sign of wear. Boards have no wear. Pages are clean, text is unmarked, binding is tight. We ship daily. . Hard Cover. Very Good/Slip Case. 8vo - over 7¾" - 9¾" tall. New York: Oxford University Press, 1971. Hard Cover. Used; Very Good/Very Good Slipcase. Biopredation to spine of each book; a few marks and scrapes on slipcase. Beige cloth boards with red titles on front and spine; b/w photos, diagrams and sketches. Leading baseball expert Harold Seymour was once a batboy for the Dodgers in the 1920s. 1971-05-05. Good. Ships with Tracking Number! INTERNATIONAL WORLDWIDE Shipping available. May not contain Access Codes or Supplements. May be ex-library. Shipping & Handling by region. Buy with confidence, excellent customer service! 1991-02-03. Good. Ships with Tracking Number! INTERNATIONAL WORLDWIDE Shipping available. May not contain Access Codes or Supplements. May be ex-library. Shipping & Handling by region. Buy with confidence, excellent customer service! Oxford, 1971. Book. Near Fine. Hard Covers. Two volume set in a Very Good slipcase with some dampstaining to top..
New York: Oxford University Press, 1960. Book. VG+. Hardcover. 1st Edition. 8vo - over 7¾" - 9¾" tall. Light green cloth, lettered in yellow and green. Cloth is very slightly tanning toward edges and along spine panel, with text block edges somewhat dulled by age. Green illus. dust jacket shows (2) 1" closed tears with associated crease along top front edge, a few smaller chips and rubbing along edges, price clipped front flap, now in mylar. x,373 pp., illus..
1989-09-03. Good. Ships with Tracking Number! INTERNATIONAL WORLDWIDE Shipping available. May not contain Access Codes or Supplements. May be ex-library. Shipping & Handling by region. Buy with confidence, excellent customer service! 1989-01-02. Good. Ships with Tracking Number! INTERNATIONAL WORLDWIDE Shipping available. May not contain Access Codes or Supplements. May be ex-library. Shipping & Handling by region. Buy with confidence, excellent customer service! New York: Oxford University Press, 1960. 373 pp. Light green cloth boards are mottled with bleached spots. Library pocket on beb and library stamp on Preface page. Pages are clean, text has no markings, binding is sound.. Hard Cover. Good -/No Jacket. 8vo - over 7¾" - 9¾" tall. Ex-Church Library. Oxford University Press, December 1970. Hardcover. Used - Signed. Very nice clean, tight copy free of any marks. New York: Oxford University Press, 1990. First edition. Hardcover. Near Fine/Near Fine. Hardcover in dust jacket. 8vo. First printing. Very slight foxing to edge of text block. Dust jacket is unclipped and lightly sunned. Some illustrations. 639 pp. including index. In protective Mylar. Heavy. Oxford University Press, 1960-01-01. First Edition. Hardcover. Good. Good hardcovers. No DJs. Includes hardshell protective case. TWO VOLUME SET. Pages are clean and unmarked. Foxing on page edges and covers. Covers show light edge wear with rubbing/light scuffing. Binding is tight, hinges strong. ; 100% Satisfaction Guaranteed! Ships same or next business day! NY: Oxford Univ Pr, 1990 Book has minor, light touch of soil on top paper edges. 639pp with Index. Beige/red cloth with silver lettering. 1st Ed. with complete number line.Tight, square, bright copy. No remainder mark. Firm corners. No internal notes, names or marginalia. Crisp, unclipped pictorial DJ in Mylar cover. 3rd Volume in Seymour's fine ground breaking readable history of the "National Past-Time". This volume deals with Baseball Outside the lines of the Professional Clubs.. First Edition. Cloth. Almost Fine/Fine. Illus. by Photo Illus in b&w. 8vo - over 7¾" - 9¾" tall. Baseball. New York: Oxford University Press, 1960. 3/13/2012. Very Good. First edition. Octavo. 373pp. Good only with cloth soiled and stained, dampstain on top page edges, missing front endpaper, lacking the dustwrapper. An important scholarly book on the origins of baseball. NY: Oxford University Press, 1960. Very good with no dust jacket. Green cloth is lightly soiled and faded at edges. Gift inscriptions on front pastedown and half title page, and an ink note at the blank space at the end of the index. A few b& w photographs and an index; 372 pages.. First Edition. Hard Cover. New York: Oxford University Press, 1990. 1st Edition . Hardcover. Very Good/Very Good. 8vo - over 7¾ - 9¾" tall. Very Good/Very Good condition. New York, Oxford University Press, 1990. Hardcover. Very good condition in very good dust jacket. No markings. . 639p. Illus. New York: Oxford University Press. Very Good in Very Good dust jacket. 1990. First Printing. Hardcover. 0195038908 . Small 4to 9" - 11" tall; 639 pages . NY: Oxford University Press, 1990 Hardcover. Very Good/Very Good. Oxford University Press. Hardcover. B0000CKK7H Good condition, cover has some wear, might have some writings. . Good. Oxford University Press, 01/04/1990. New Ed. Paperback. Used; Good. **WE SHIP WITHIN 24 HRS FROM LONDON, UK, 98% OF OUR ORDERS ARE RECEIVED WITHIN 7-10 DAYS. We believe you will be completely satisfied with our quick and reliable service. All orders are dispatched as swiftly as possible! Buy with confidence!